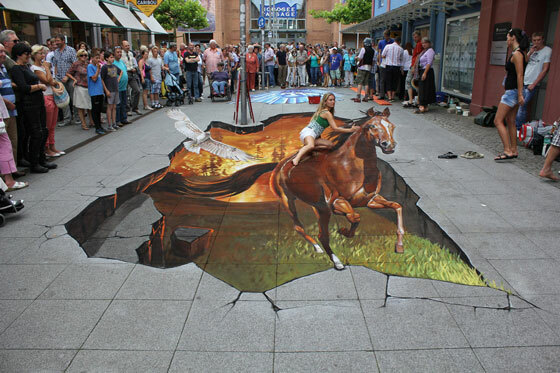 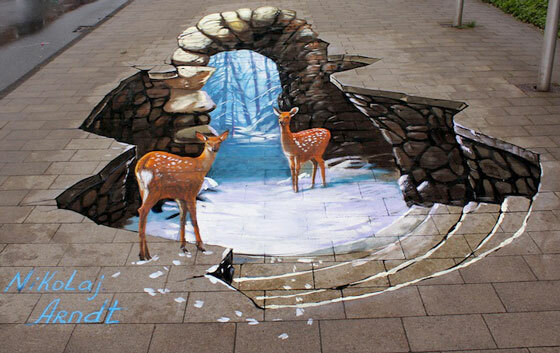 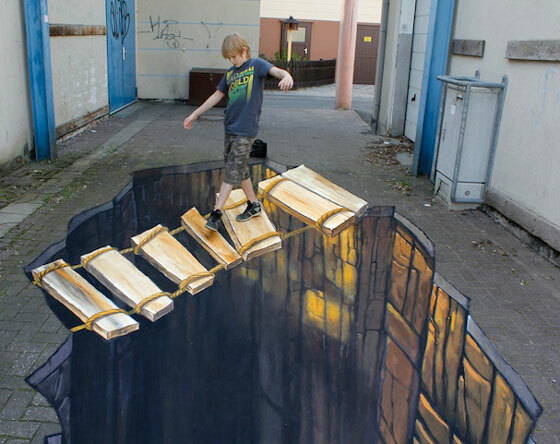 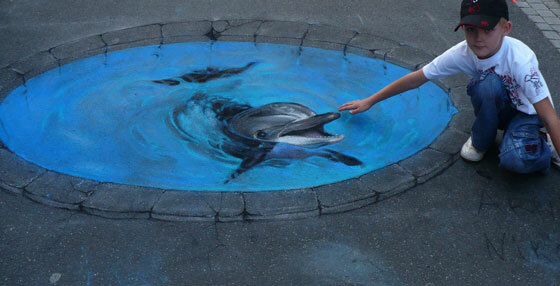 As a big fan of “Optical Illusion Drawing“, there are many genius 3D artists have been featured on our site. 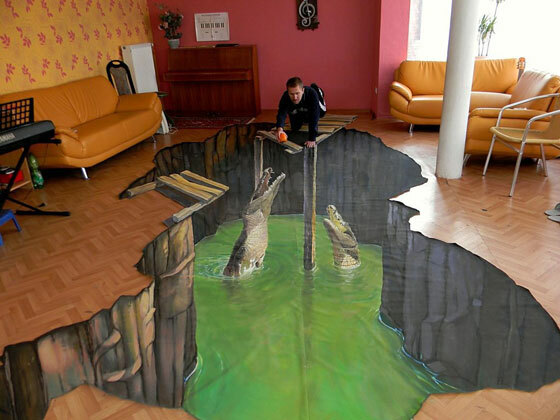 And our today’s start is Nikolaj Arndt, a Russian-born artist, who created fascinating 3D art indoor and outdoor. 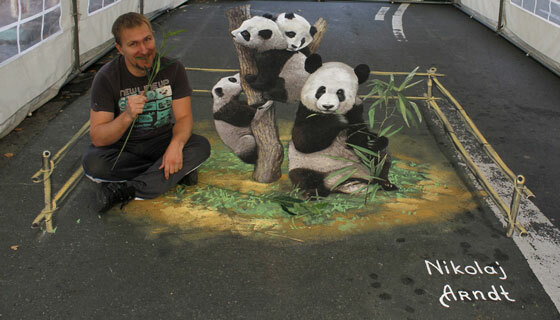 Using chalk and pigment, he brings his creative ideas to life, whether that means creating gaping holes with a happy panda family enjoying their delicious bamboo. 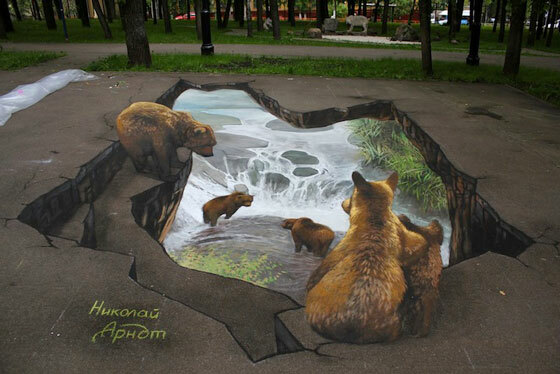 When viewed from the correct perspective, these images just pop out of the ground and become something truly amazing! 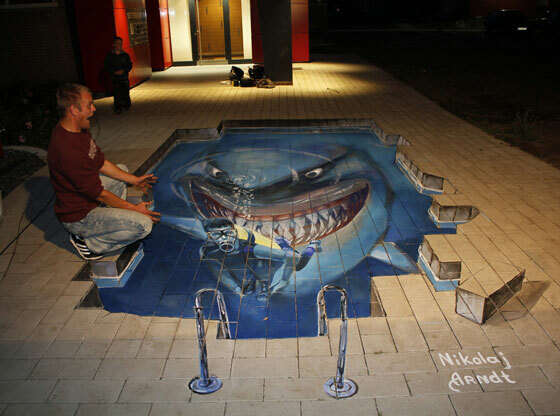 Let’s sit back and watch those masterpieces. 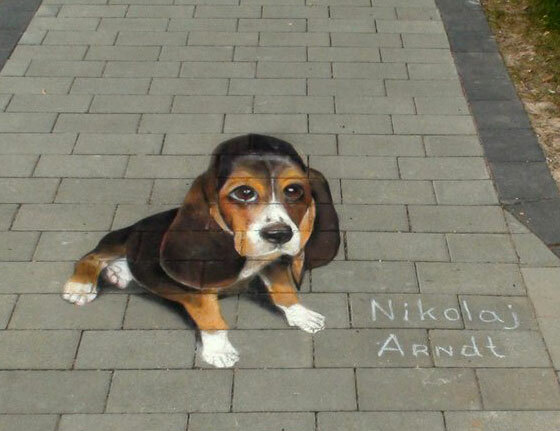 Watch the following video and see how the dog comes to life.